It only takes one rotten apple to spoil the bunch. As much as I am an advocate for feminism, I am aware of the reality that it is often taken to extreme lengths by some for their personal gain. Essentially giving a bad name to the feminist movement, which is nothing but a call for equality, they use it as an excuse for male bashing. Often times this potentially ruins the lives of those accused under false grounds. 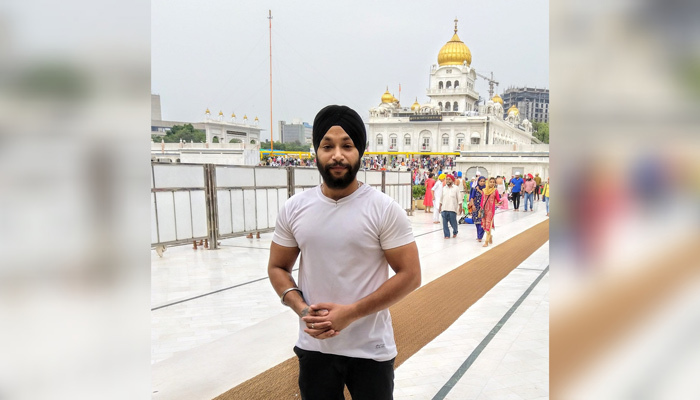 Sarvjeet Singh Bedi has been caught in the crosshairs of one such act for the last 3 years after he was tagged a sexual harasser. A woman, Jasleen Kaur, named and shamed Sarvjeet Singh for having allegedly made obscene comments at her while at a traffic signal in Delhi. Her post went viral on social media with even celebrities lauding Jasleen for coming forward. Mainstream media spoke about the incident in depth, adding to Sarvjeet’s plight. 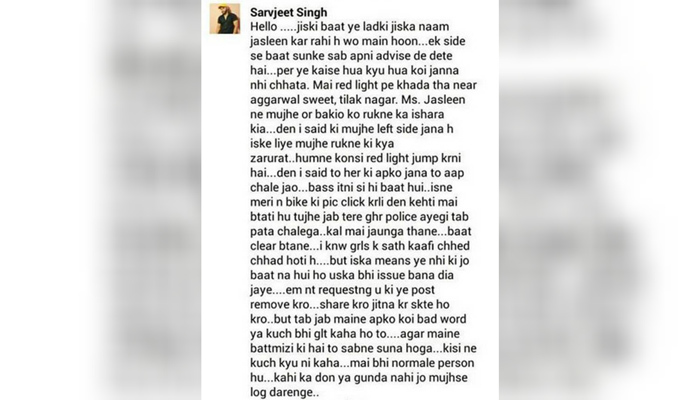 Jasleen’s version of the incident soon began to unravel as eye-witnesses came out in support of Sarvjeet. Even Sonakshi Sinha, who had initially spoken in support of Jasleen, later apologised to Sarvjeet for having made a misinformed judgement. Some even questioned that Jasleen, who was an avid Aam Aadmi Party supporter, had pulled the stunt to gain publicity. Soon enough, people who initially spoke against him started questioning Jasleen’s version of the story. However, the police proceeded with the case. “Soon after the incident, the company I was working with asked me to leave. We used to produce labels for branded clothes and had international clients. My boss told me that the company’s name was being tainted as the news had spread to our international clients as well. The most frustrating part, however, is that the arguments in the case against him are yet to begin as Jasleen has failed to attend even a single one of the hearings. And while Sarvjeet has to appear at the police station every time he needs to leave the city, Jasleen is allegedly pursuing her studies in Canada. Sarvjeet says this is what her father claims every time at the court as the reason for her absence. “The journalist was just an employee of the Times Group who was doing his job. It is the channel and its editor who should issue an apology. Unhappy with his lawyer, who had been assigned to him by legal aid, Sarvjeet approached the judge directly to request him to finalise the case. While we cannot judge what is the truth of the incident that occurred 3 years ago, the impact it has had on Sarvjeet’s life is unfair. When making such an accusation against someone, it is the responsibility of the complainant to appear in court on the said dates and ensure a speedy trial. We hope the bailable warrant issued this time will ensure Sarvjeet is served justice soon.